The flattering tapered fit and dark navy shade of these 100% cotton jeans makes them casual yet smart. Trouser: Garment washed. Tapered leg. Zip fly. Five pocket styling. Belt loops. 19.5cm hem. Machine washable. Have used Brook Taverner for years now & never had cause for complaint. Quality clothing, excellent service and no quibble returns if you have to. I'll continue to use them in the future. Quality merchandise paired with efficient service. Straightforward ordering procedure, ideal sizes, great range, really could not be a more straightforward and reliable service. Good quality and great looking items! Quick delivery and items all perfect. Would definitely use again and lots of discount codes out there to be had. Excellent sale price. Great & quality product. Fast dispatch and delivery. Highly recommended. The jacket arrived the very next day from ordering and the quality and fit was excellent. Superb company to deal with. I recently had a very good shopping experience at the Inverness branch of Brook Taverner - friendly, helpful and not pushy in any way. I went on to order on-line and the process was clear and easy. The goods were delivered promptly and I am very happy as regards quality, fit and comfort. Our order arrived very quickly with hardly a crease. We now know their sizes fit my husband perfectly and always look superb. The quality is excellent. My only very minor quibble is that their jeans are straight leg and not narrow and my husband although not slim has skinny legs and a narrow leg suits him better. Have no hesitation in recommending Brook Taverner. Quality classic clothing, with a brilliant website that interacts with customers providing great offers! Very pleased with the service! Everything I buy from here is great quality. I purchased a Suit, Jeans and a Shirt all for my husband, all arrived beautiful packed and all fitted perfect husband very pleased and so was i, so pleased I have ordered several more items for him for christmas. All in all a very good company and I would recommend them to anyone. Excellent service, excellent quality and alterations together delivered in unbelievable time. Thank you. I found Brook Taverner the most efficient and prompt company with which I have dealt and would certainly purchase from them again. The items are good quality and excellent value, also feel that I have trust in the company and therefore I personally cannot find anything to which I am not happy with. ordered a few items by now and can't fault the service. Especially good to have free returns - all made so easy. 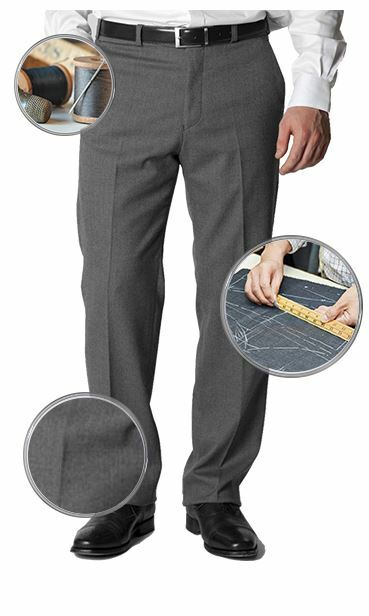 Clothes of excellent quality and, unusually compared with other companies, their trousers are not overly long in the regular size! Great pair of jeans but had to order a size 36. I can get into a size 32 in other makes. Brook Taverner are the only company I have found that does jeans with a leg length of 29.5 inches. The quality is excellent and wear well. This is the 3rd pair I have purchased, Stylish, comfortable,and a great fit, plus they wear very well. Super Jeans. Purchased Dazio denim jeans.Good overall quality and detail stitching.Can recommend. 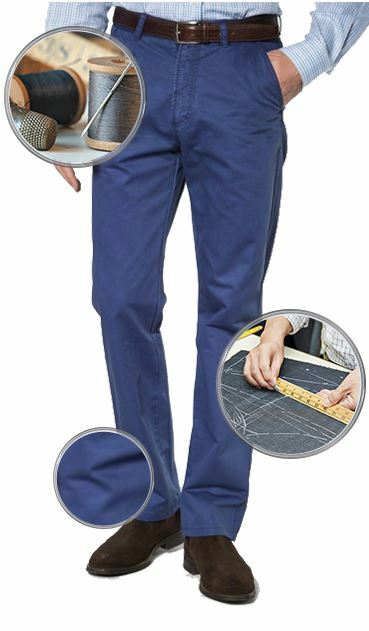 Men’s fashion fit trousers are cut close without being too restricting. Slimmer throughout the thigh and leg opening than the classic fit, fashion fit trousers provide a long and lean look and the right balance to flatter today’s fashion cut suit jackets. Fashion fit is available in both casual and dress trousers. 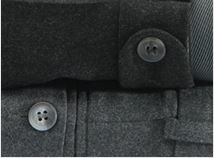 The waistband can be slightly lower than the classic fit, but the waistband should still fit snugly without pressing into the skin. 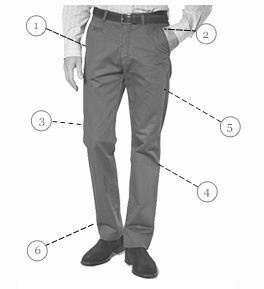 A belt should not be necessary and is often not worn with fashion fit, flat front trousers. 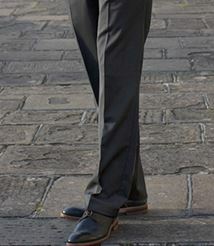 The hem of the slim fit trouser is a bit higher than the classic fit. Because the leg openings are not as wide, the break would not fall the same as the classic fit. For this reason, the hem has been lifted to allow a clean, streamlined look. Fashion fit trousers fit closely to the leg throughout, giving a clean, modern line while allowing room to move freely without restriction.